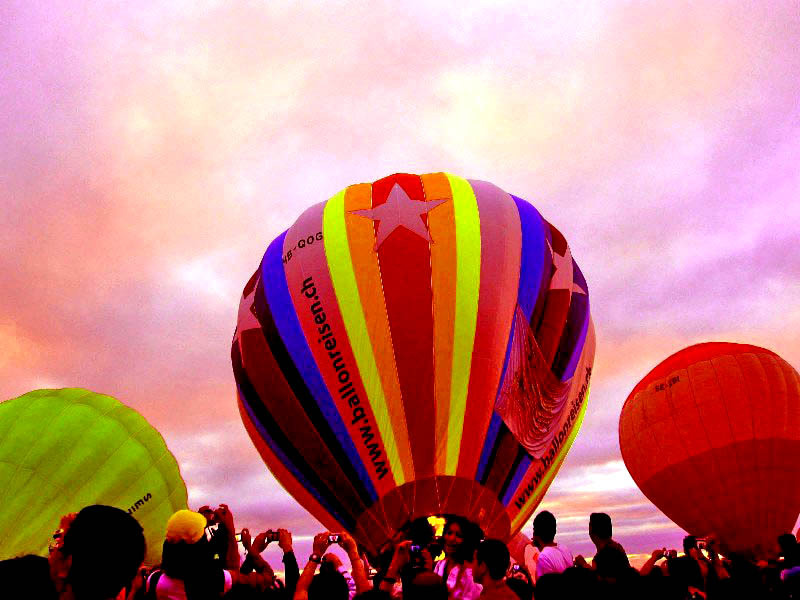 Posted on May 19, 2011 by Mia G.
I have always been amused and crazily amazed by Hot Air Balloons. Like most people, I dream of riding in one. But reality strikes and you realize that it’s just so expensive to indulge into that dream, and you just resort into being a spectator of flying balloons amidst the fresh sunrise. Thankfully, my boyfriend Pao is ever so enthusiastic to accompany me to ANYWHERE and any place I’d like to visit and explore. He willfully obliged in spending Valentines 2010 with me in Clark, Pampanga to see the 15th Hot Air Balloon Festival and we were definitely in for a great treat.